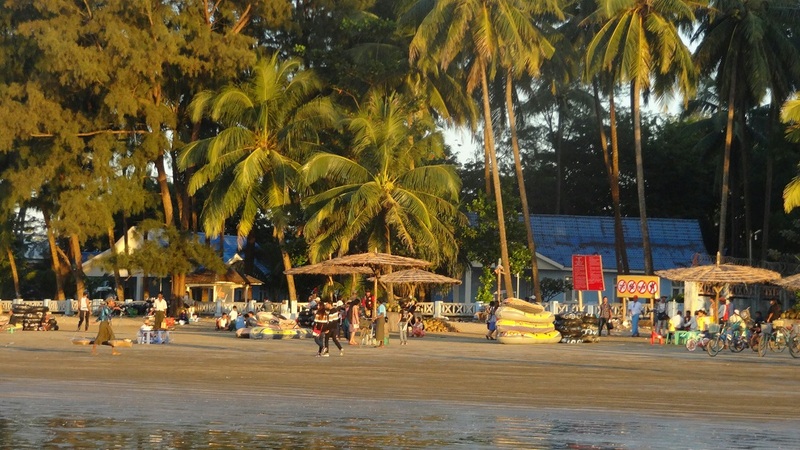 To cool down after busy Yangon, Lena and I went to Chaung Tha beach, a beach that is popular amongst Burmese tourists. 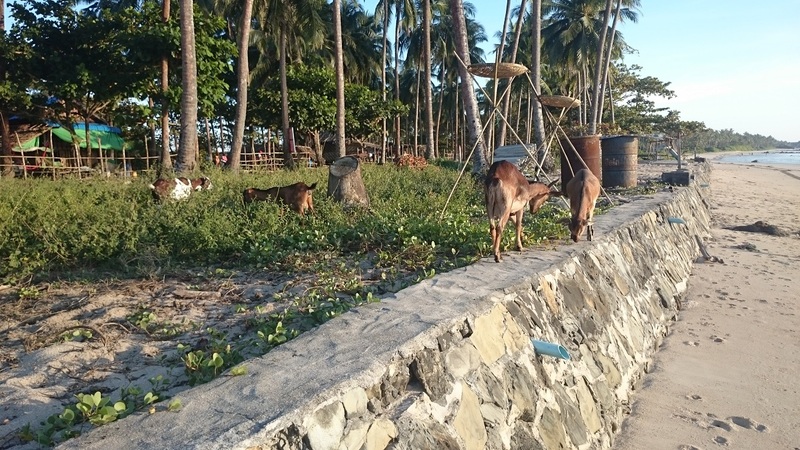 While I guess the dream of the Western tourist of the ideal beach holiday would be a lonely white beach to have all for themselves and sunbathe under tropical palm trees, the Burmese on the contrary enjoy to be at the most busy beaches (and certainly not sunbathe). 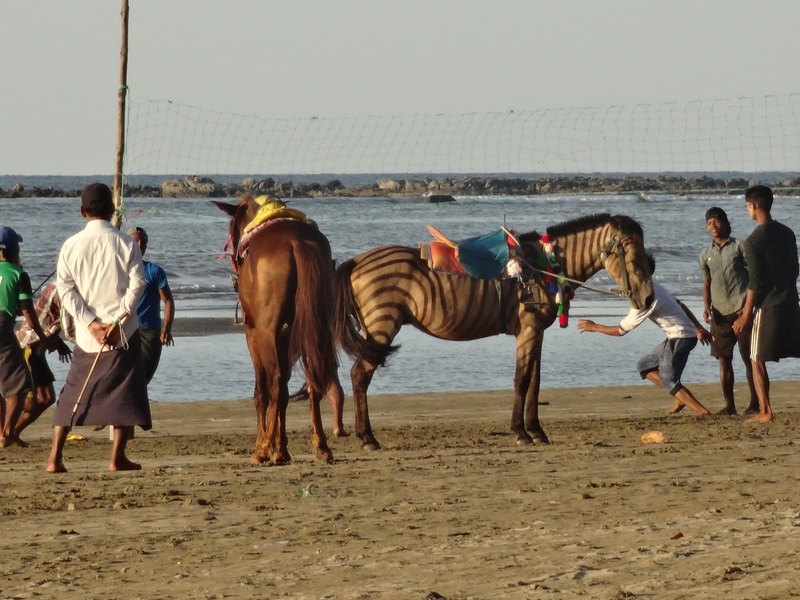 Their idea of a nice time is to drive up and down the beach with a motorbike, rent one of the many tandems at the main beach to do the same or have oneself photographed taking a ride on a horse. Additionally, most people will rent a truck tire tube or two for the day to take it into the water with them. Myanmar is one of those countries where many things don’t seem to fit together because change(/progress) is rushing in so fast. There are places that look like as if time has stopped long ago. 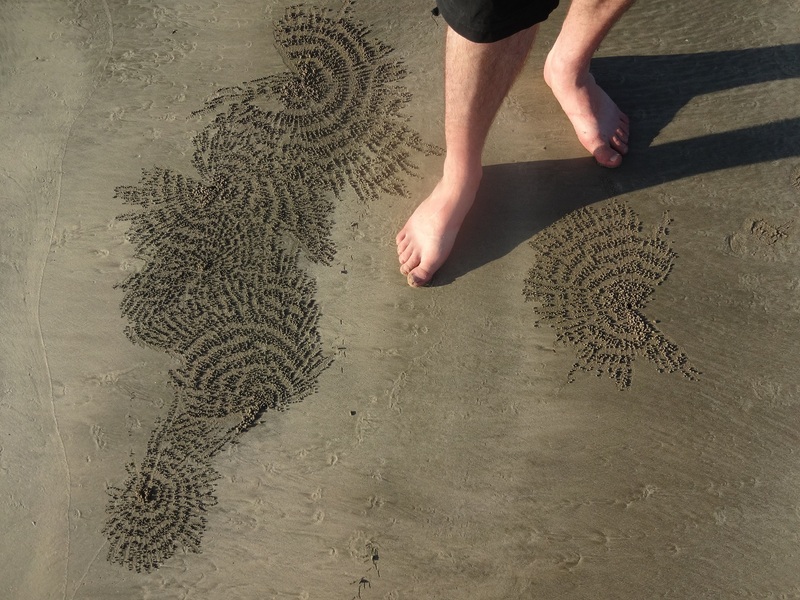 But then, on the other hand, certain details break this impression. 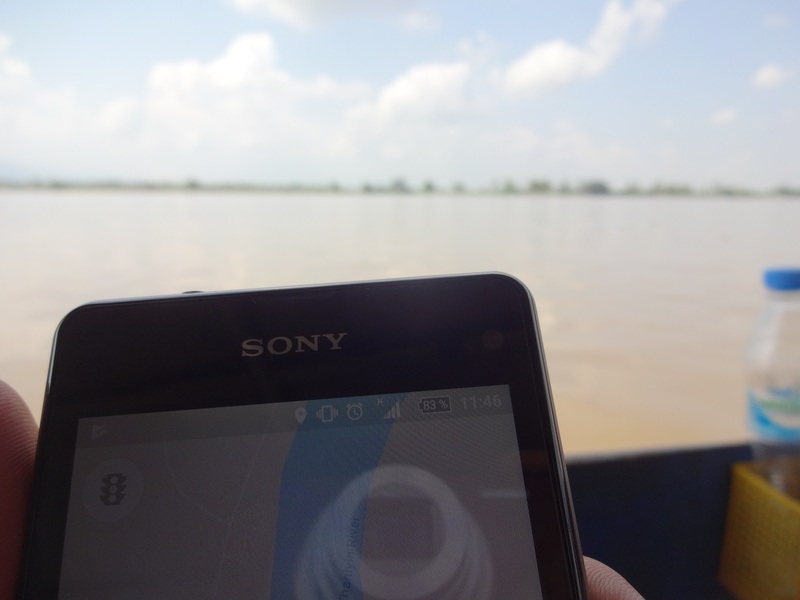 One of these is the availability of mobile internet, seemingly everywhere, even as in the photo, on a broad river in the middle of nowhere. In towns, broadband internet, for prices one can only dream about in Germany. As a matter of fact, almost everyone in Myanmar seems to have a smartphone nowadays, even bicycle rickshaw drivers. (Read also my article from 2014, the situation was a bit different then.) 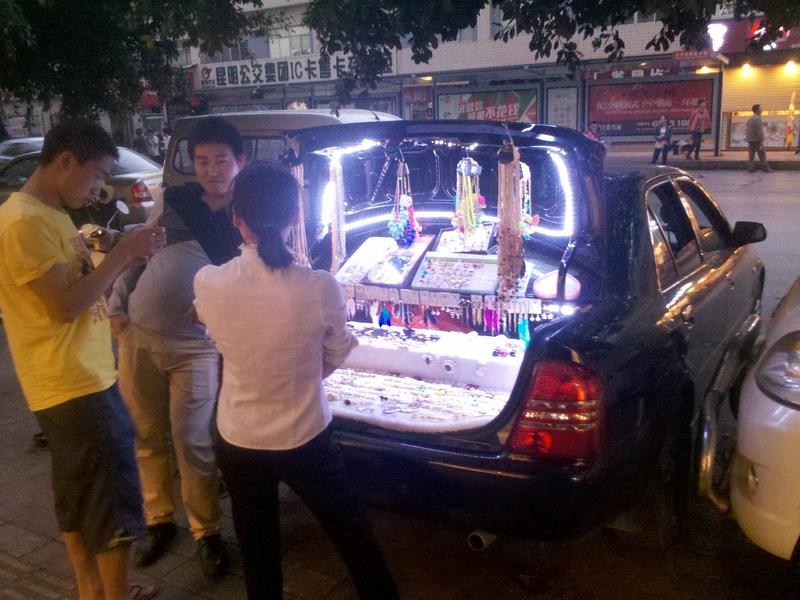 Of course, it is mostly the second hand refuse from other countries, but they are (Android) smartphones nonetheless. You know, I like to write about religion. And in Myanmar, there is really not getting around it. Monasteries are as common as schools (and they often run them, especially in poorer areas), it seems, in just about every village, there is one. And even in heavily populated downtown areas of big cities, there are monasteries. If I remember correctly, it is expected of every (Buddhist) man in Myanmar to once in his life spend some time as a monk. 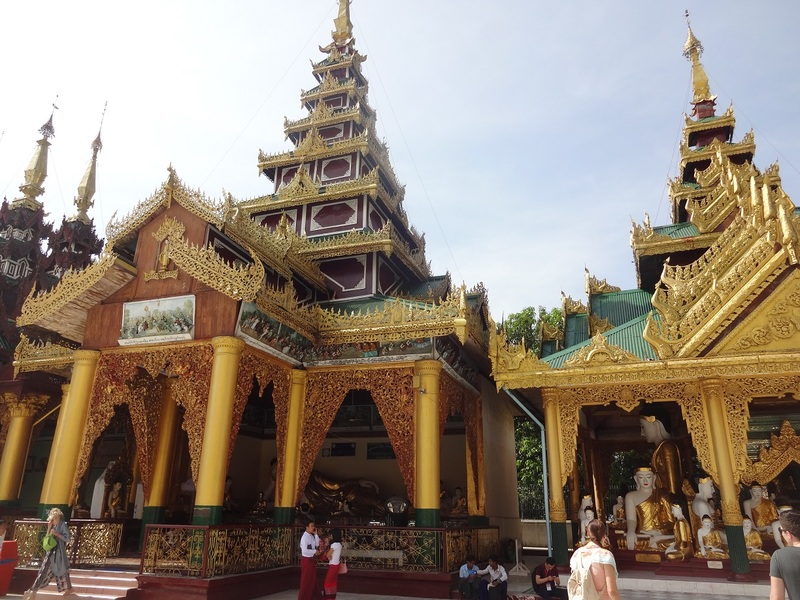 Pagodas are the places where the Myanmese go to pay respects to the Buddha (and collect blessings) on the one hand, and places to cool down during the midday heat on the other. 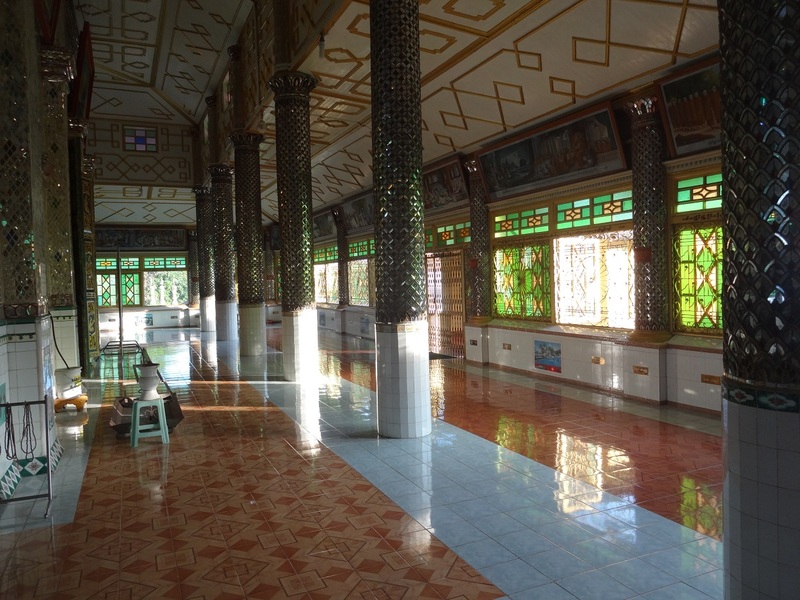 They are the center of popular Buddhism, where one can see unbelievable splendor and have countless places to perform rituals for receiving blessings. 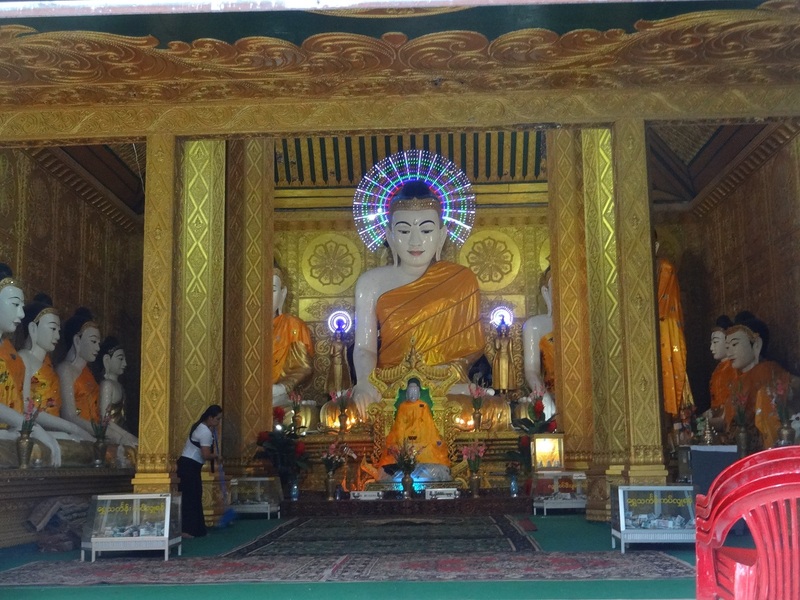 In the Shwedagon Pagoda (overview video above), a guide related a few popular stories to us that revolve around Buddha. Many of them are very similar: There is some angry beast, like in one story, an enraged elephant, in another, an ogre or in yet another two contentious dragons. Then, Buddha arrives and calms it/them down. The beast then sees the error of its ways and lives an even-tempered life. 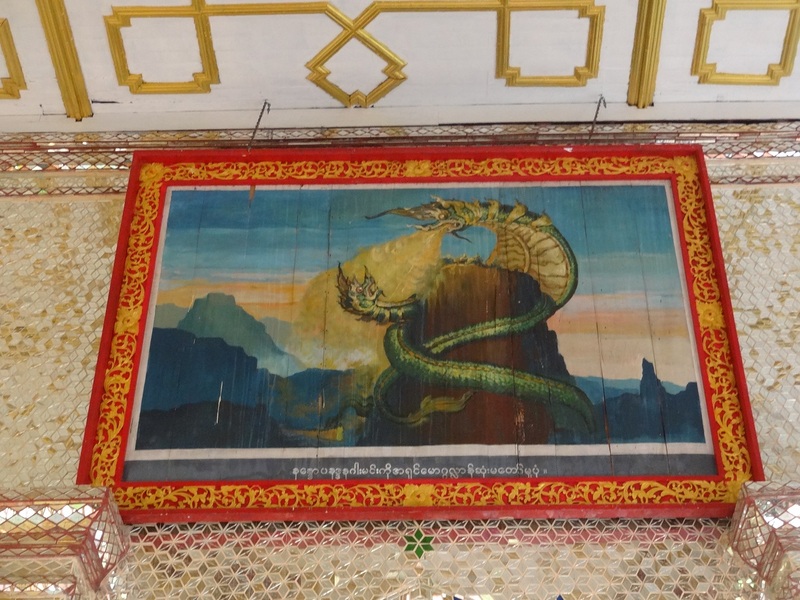 Depictions of these stories can be found over and over in many different pagodas. 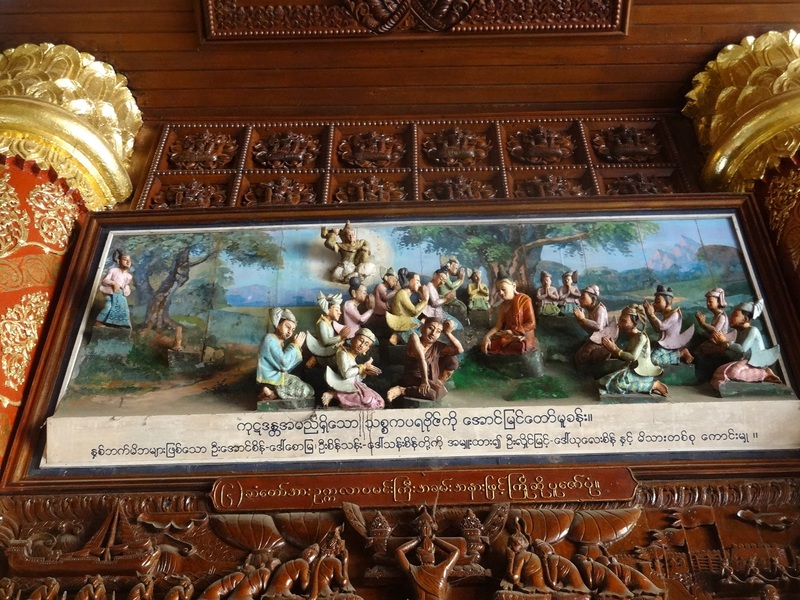 The most peculiar story I heard from that guide and saw a depiction of, was about a monk, who had a habit of cutting off fingers of other people. I did not understand, why he did that, if for money, or if he was convinced that this would be to serve his god of something else. Anyway, after some time, he had already collected 999 fingers and now to complete his collection, intended to cut off a finger of his own mother. By that time, he was, understandably, extremely unpopular, so that villagers would even throw stones at him. Alarmed by the fact, that the monk would forever go to hell if he would cut a finger off his own mother, Buddha visited this monk and told him to stop cutting off fingers because indeed, it is a bad thing to do that. The monk did not know before about what is good and what is bad, and so by Buddha’s wisdom, he was saved from hell. The story sounds so curious that I am really not sure whether I missed out on some important detail there, but this is how it was related to me. And in the end, I guess this story is not more imaginative than anything with these mythical creatures. 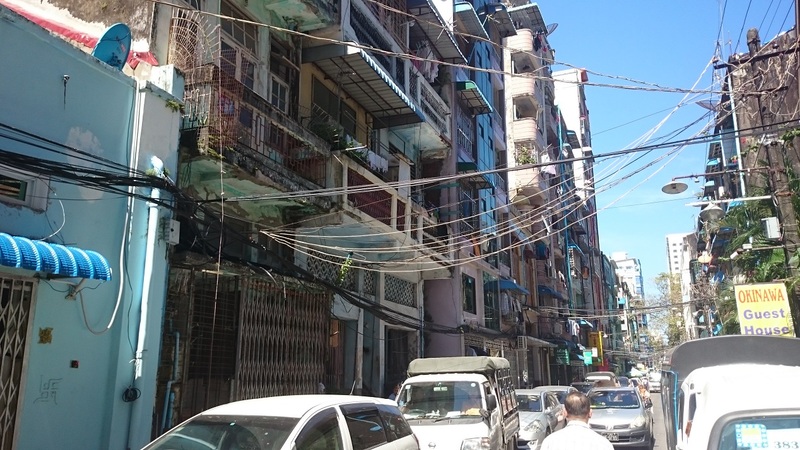 In downtown Yangon, the typical (apartment) building is so slim that it often has just one apartment in each floor and a staircase so slim and steep, it’s almost a ladder. 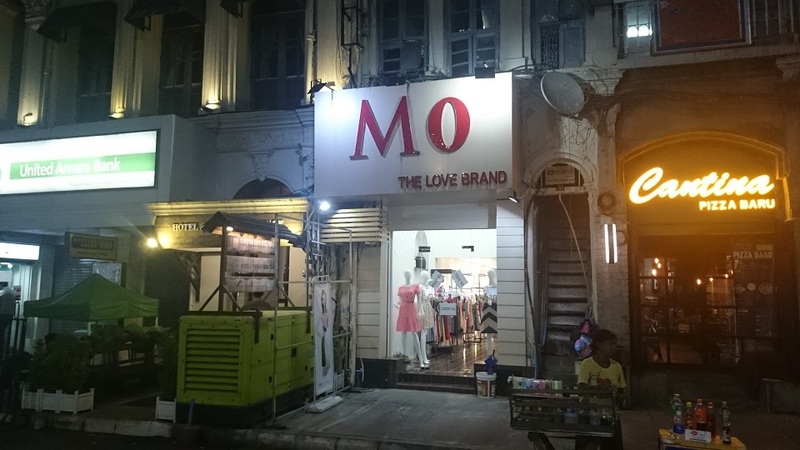 You can see this in the above picture, right of the “MO” shop. Do you see it? It’s a cord hanging down from the balcony with a bell attached at the top and something like a peg at the bottom, for letters and newspaper. If someone wants to get in when the door is already locked, the tenant can send down the key via the cord as well. It’s pretty cool! 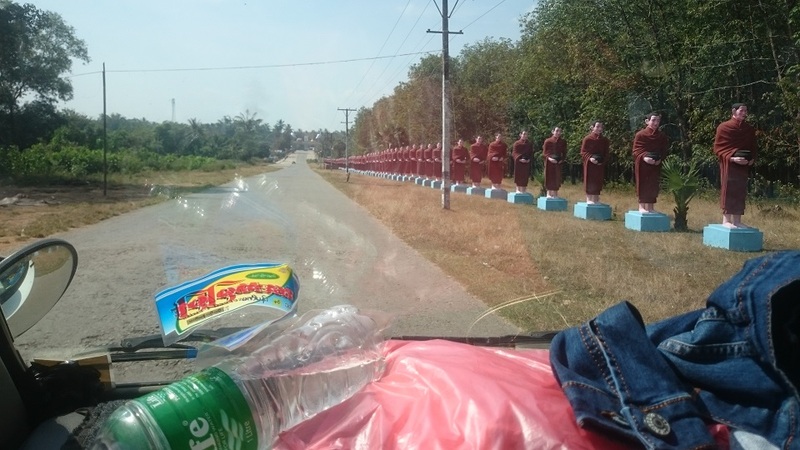 In the last article, I wrote that the world of products did not reach Myanmar yet in the context of roadside travel snacks. And while the Thais cover themselves in beauty products from Dove1, Nivea, Unilever etc. with sunblock and skin whitening, Burmese put self-made thanaka on their faces. To be honest, there is one kind of fast food product that made it to Myanmar and basically took over the whole softdrink market: Coca-Cola and Pepsi Co. In 2014, when I first visited Myanmar in the Mandalay area, I wrote about local brands of softdrinks, like “Lemon Sparkling” and “Star Cola”. Now, three years later, there is no trace of them now, at least in the Yangon area. Star Cola has been bought by Pepsi Co. and apparently discontinued. No idea what happened to the other brands. There is still “Blue Mountain Cola”, though. 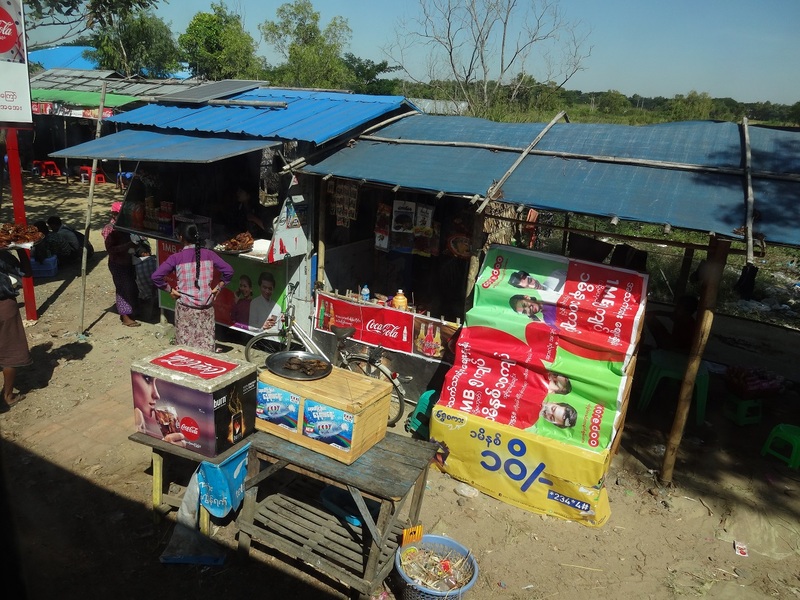 Now, a characteristic sight in Myanmar, especially on those roadside houses and stalls, are these advertisements, mostly for softdrinks or mobile phone tariffs, hanging just about everywhere – but often not how they are supposed to be used but as some kind of decoration or construction material. I guess they are so popular because they are colorful, relatively durable (don’t rot), water resistant, easy to clean and most of all, probably very cheap (or even free, given that they are advertisements). 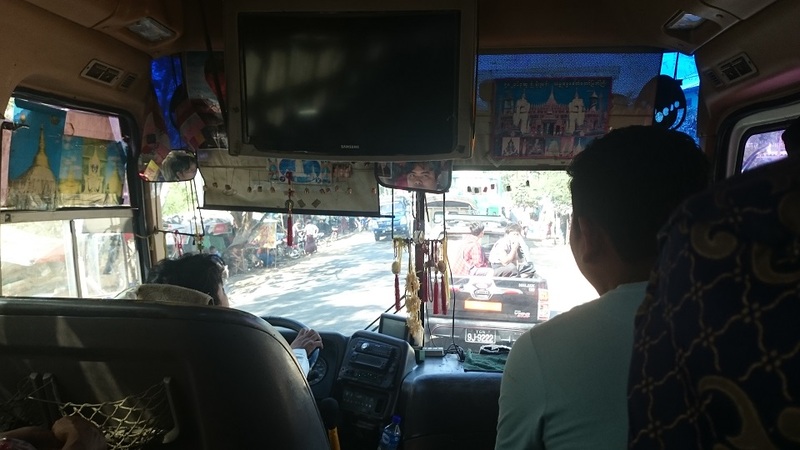 Long distance buses which connect to other cities always make several stops alongside the road for the passengers to relieve themselves and to supply themselves with travel snacks or eat lunch at roadside stalls and food halls. Now, the world of products did not really reach Myanmar yet, so the snacks you can buy for an overland journey are somewhat fresh and local. Sometimes, when the buses only stop shortly to let passengers in or out, ambulatory vendors come running to the stopping bus to sell their snacks through the windows. I have already seen some exciting scenes where the bus already sped up again and the change was handed back to the passenger in a sprint. 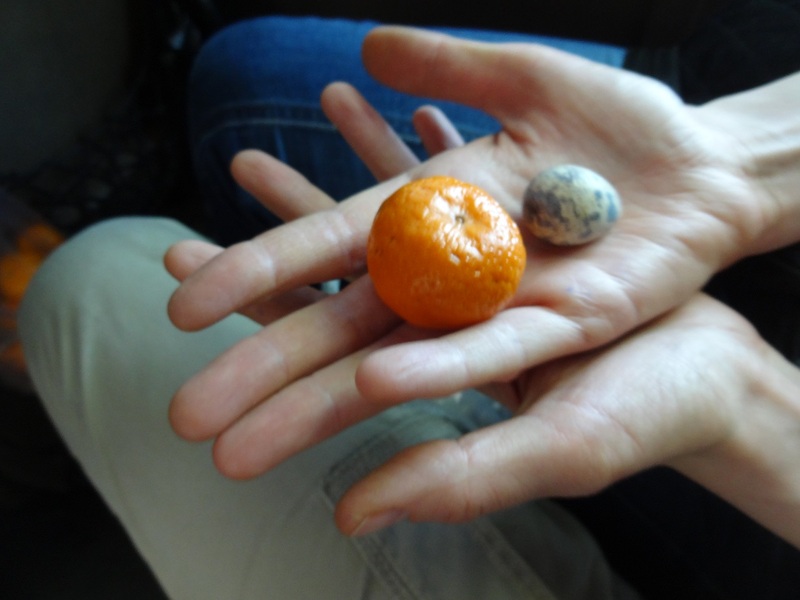 Tiny clementines, as big as plums, as well as cooked eggs, alternatively from chickens or from quails, are everywhere to be found. 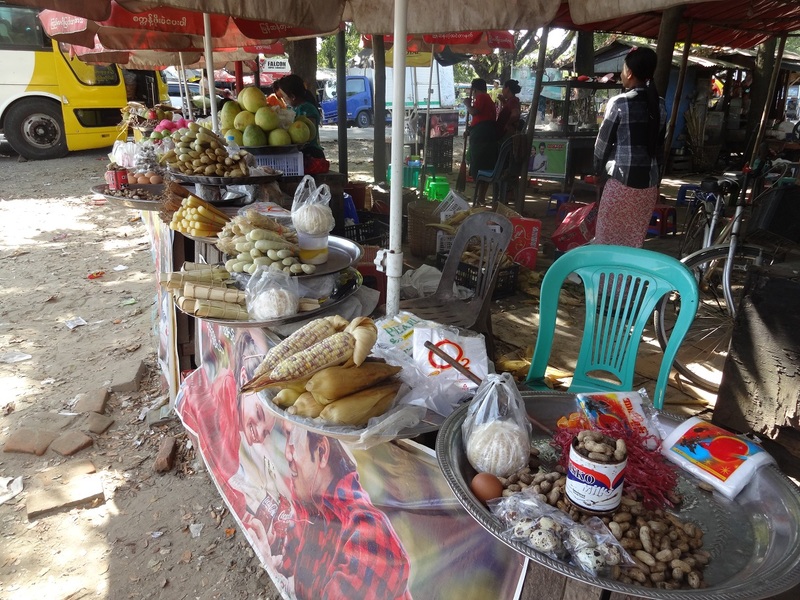 Another favourite were the cooked fresh peanuts, in the front of the picture. Peanuts are a type of bean, not nuts, in case you did not know. Fresh, they taste a bit different than dried, I’d say, a bit more rich. Other fruits and vegetables in this picture (that you might not recognize yourself) is the sticky rice wrapped in those leaves, bamboo sprouts and in the back, (sweet-sour) mangos, guavas and apples. The latter, we believe, are imported from China. If you buy fruits there, they will slice it into pieces, put it into a plastic bag for takeaway, add a wooden skewer and add spice mix on top. It may appear somewhat odd to spice fresh sweet fruit with some salty spice mix, but actually it is quite a good combination, once you adjust your expectation how a fresh fruit is supposed to taste. In terms of meat, we saw fried parts-of-a-chicken and tiny birds, fried as a whole. I guess, this falls under the same category as roasted chicken claws, a popular snack in China, available in every supermarket there. Buarghs. 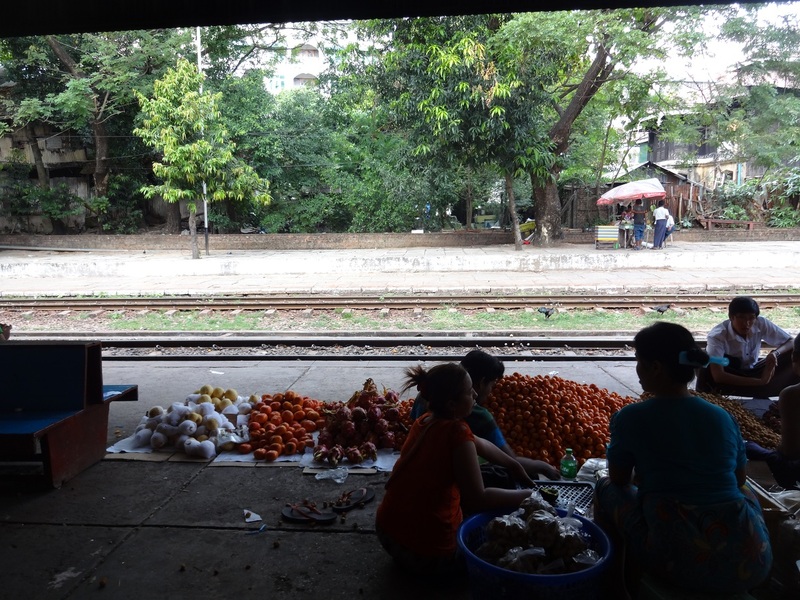 Apart from the fresh stuff, there are also many unlabelled locally produced sweets and crisps, especially at the bigger bus stations, such as banana crisps (salty, of course), popped rice crisps and Mr. Tom-style peanut bars. 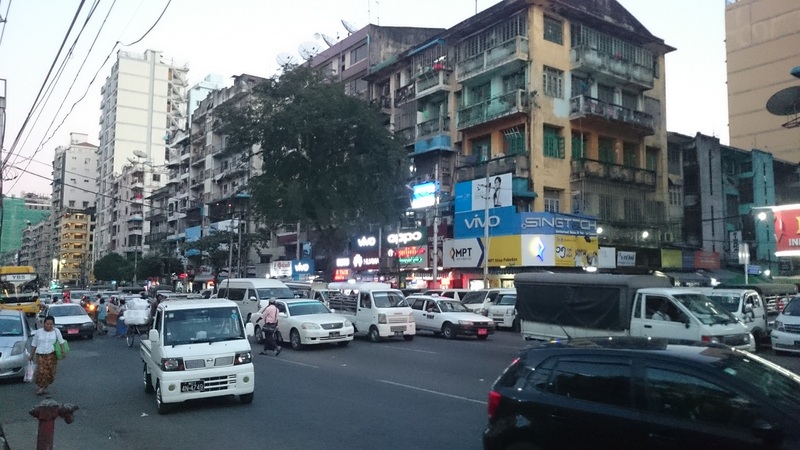 So on my first afternoon in Myanmar, I took a stroll in downtown Yangon. 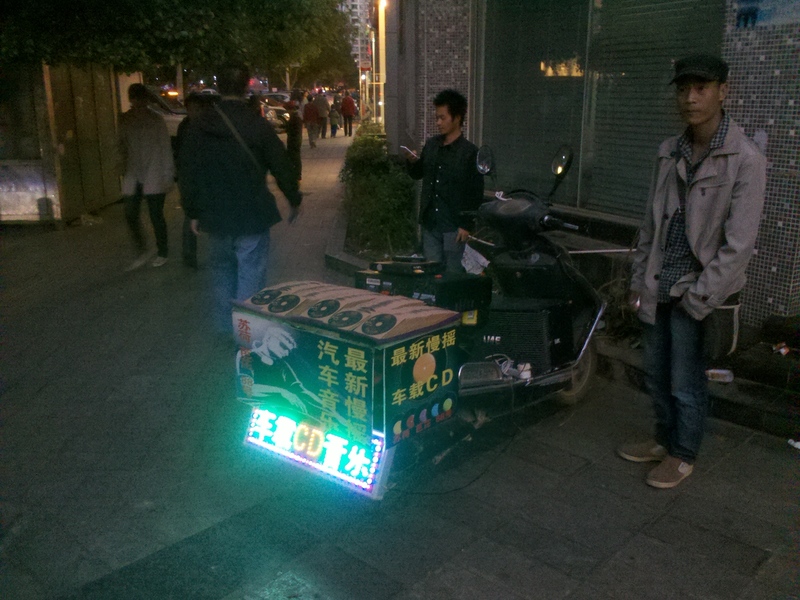 After only one hour, I had to return to the hotel because I was so exhausted from the many impressions I got. Such heat, so many people, the chaotic traffic situation, garbage and animals all around the place, so many things happening at the same time. The photos do not capture that impression so well, as I tend to not point my camera on people – which is difficult there of course, what’s left is to make pictures of the streetside in general. My impression of the people though is that they are uniquely honest, kind and relaxed. I have rarely seen anyone get loud with anyone, not even saw small children cry – even though they are everywhere. Often, people would just greet us and/or start a small conversation, just out of curiosity. Don’t get me wrong, there are touts, but my experience is that as natural as everyone else and when you show no interest in what they offer, kindly leave you be. Incidentally, the airplane I was on from Frankfurt to Bangkok, flew over both Delhi, Yangon and Bangkok during the night. Once out of Germany, there was not a single cloud on the way, so I could see every single village, city and illuminated roads on the way. Interesting (for me) is, that each city has quite a unique pattern of light, a shape of the city by night. 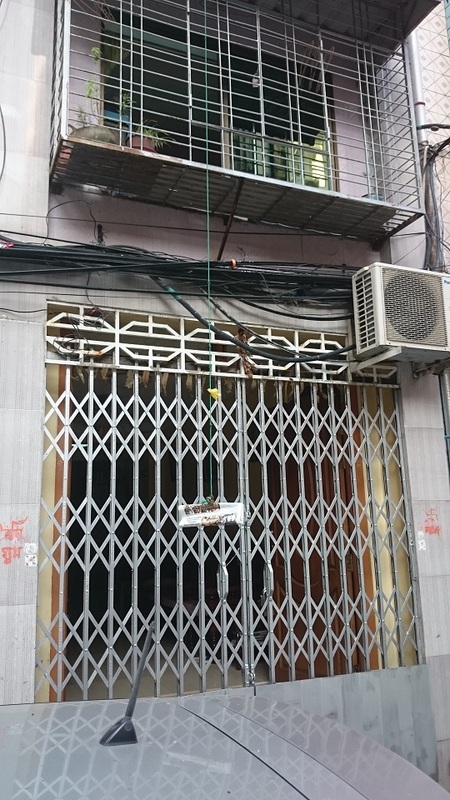 Typical for Delhi, other than that it is massive, are the quite orange street lights in the center part of town and their total absence in many of the (poorer?) 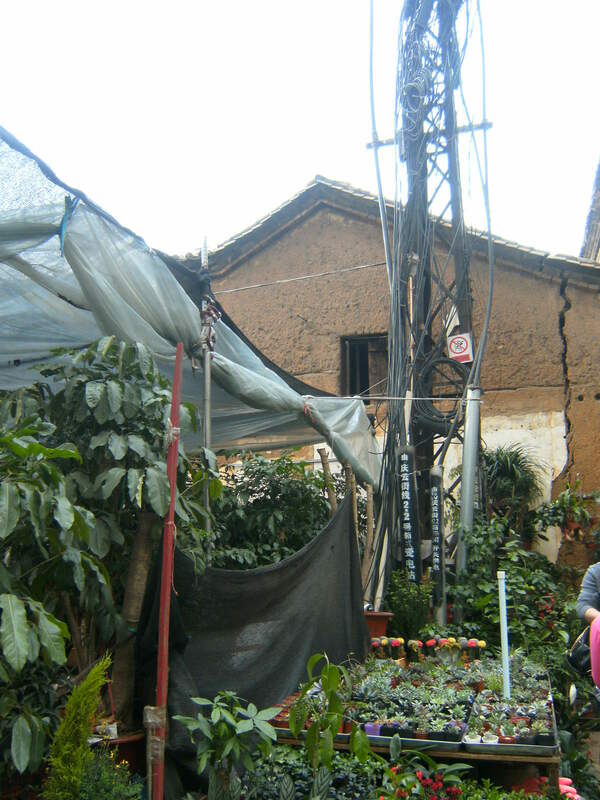 outskirts and slums that surround this mega city. In their place, a sea of smaller, clusters of cold bluish light, coming from the various individual dwellings was visible. While flying over Delhi, which was only a couple of minutes, I noticed two of the aforementioned clusters black out. It is somewhat of an odd sight to see all the lights of a whole neighborhood just vanish from one second to another. For Bangkok, I think what is unique are these long rectangular erstwhile rice field “boxes” along main streets which have been made into a each a housing complex of similar residential buildings, especially in the outskirts of town. No “anthill” spread like in Delhi, but still partly completely different towards each other – every (private) city planner seems to be doing his own thing. Yangon, finally, I was unable to recognize. And it looked much smaller than I thought it should be. You know, I have taken an interest in mapping Yangon in Myanmar for OpenStreetMap from satellite imagery for some time now, so I have a pretty clear picture of how the city should look from above – but I was simply unable to tell even from which direction I am looking at it. And I think, the reason might be, that most of the city was not illuminated at all at that time (4 AM). Well, so I derive from that, that power is even more of short supply than in India. 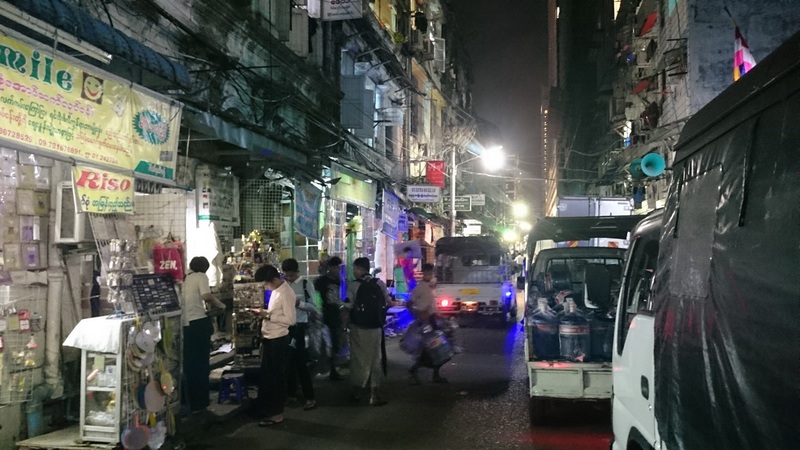 This is not really a surprise – only that this even applies for Yangon, the most important city in Myanmar. It’s been a while since my last post. No, I am not stranded somewhere in China but long back in Germany. Time to wrap this up with some photos of Songkran to which we came back from China just in time for to our home in Rangsit. 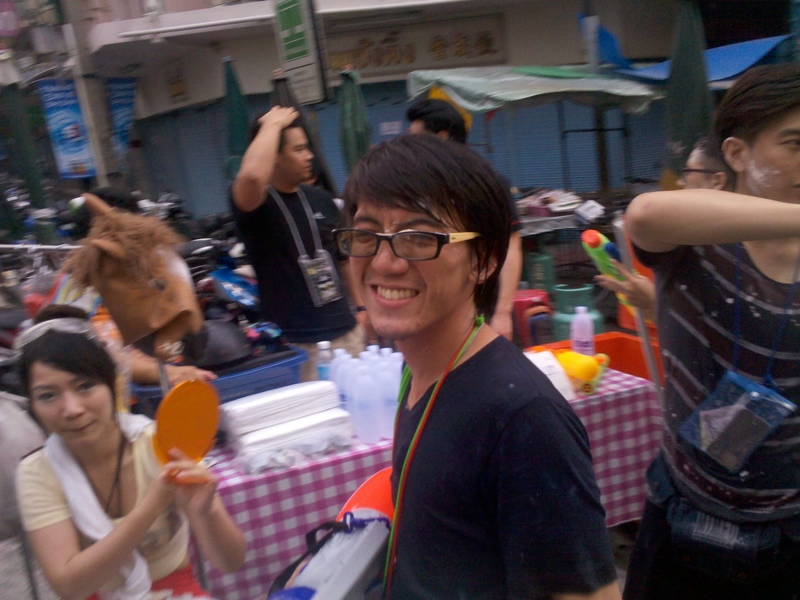 Classically, Songkran is the celebration of New Year (Does every county have its own calendar or what?) in the Thai lunar calendar, in the middle of the hot season. 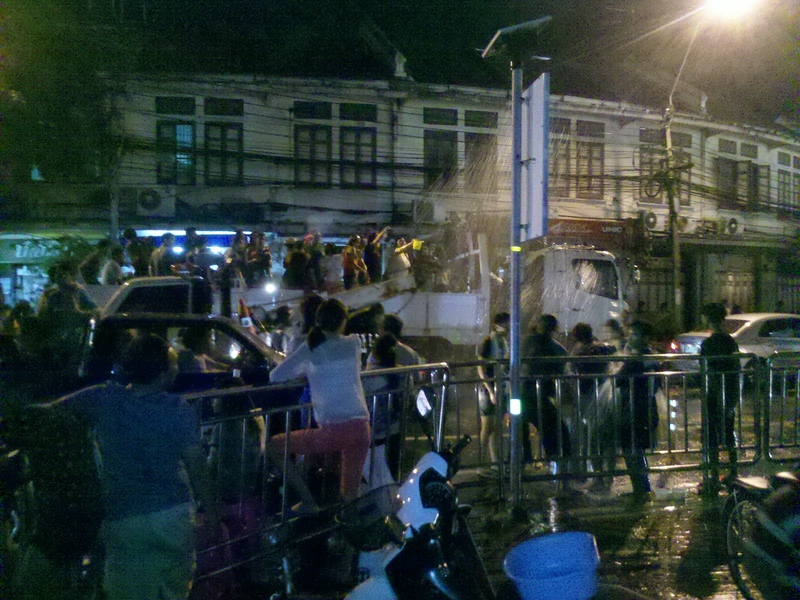 And at least in Bangkok and other big cities, it is celebrated as giant city-wide water fight. Especially in the backpacker tourist area Banglapoo. Khaosan Road, the heart of Banglapoo, was a watery hell that day. Lena insisted on going into that street, she came back soaked from top to toe – even though she didn’t even have a weapon. Well, the western tourists seem to have the biggest water guns but also make the best target. 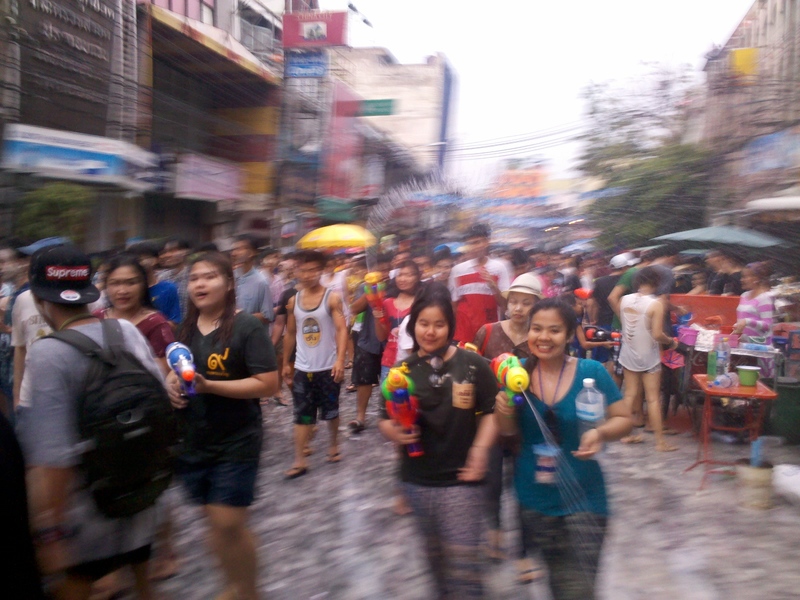 The area was so full on these days that I guess that many western tourists come to Thailand just for the water fight. Getting away from the center of the action, where there was enough place for cars on the street, the battle continued. 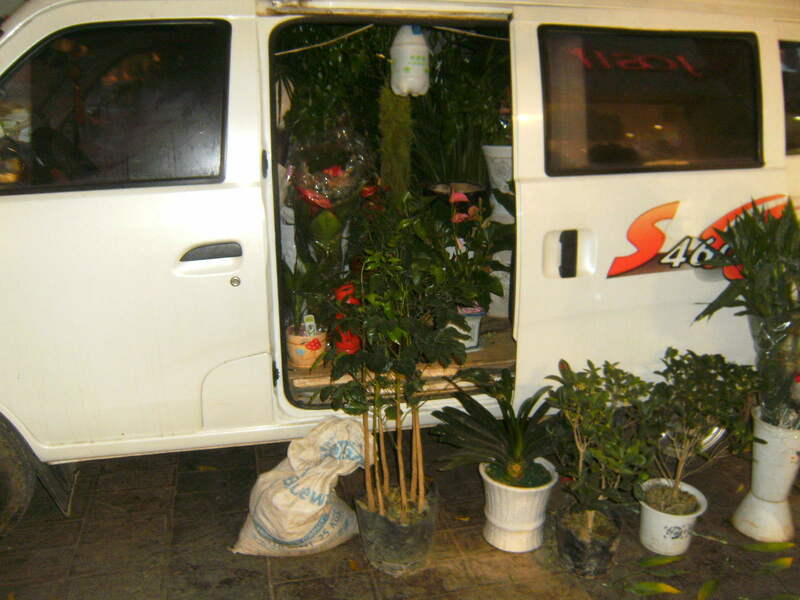 We’ve seen loads of pickups, trucks and tuk-tuks loaded with gangs of water gun slinging and trigger-happy Thais. 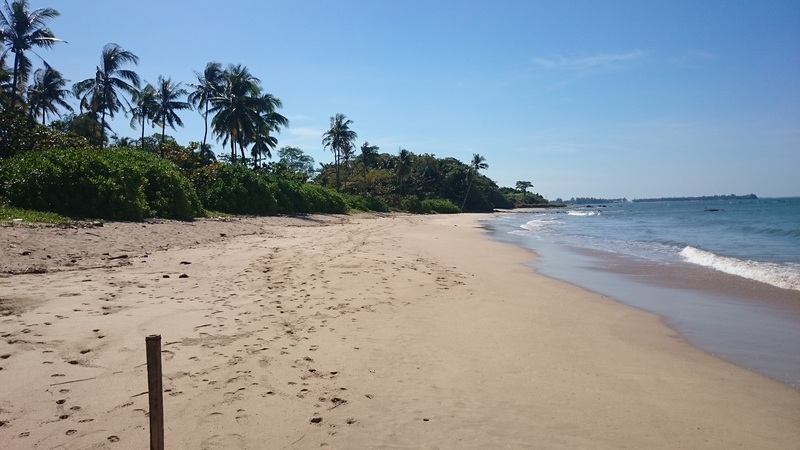 After Songkran, Lena just had enough time left to do a course of Vipassana meditation on her own (but at Wat Suan Mokkh) and I used the time to take some vacation in the island world of south Thailand. Packing up home - the second!